Wind and sun can wreak havoc on your wind chimes. This is a guide about repairing wind chimes. Don't throw out that wind chime when the strings break, go to your local craft store and in the jewelry department you will find elastic cord to make bracelets. I repaired one of our wind chimes last fall and it is still making its sweet sounds. It comes in different sizes, clear and black so you have some choices. The elastic takes the stress much better than cord without stretch. It hasn't broken one string yet and we get some mighty strong winds. You can tie it in knots but the crimping beads made for jewelry making also are really quick and handy. I have a heavy 5-cylinder (metal) wind chime with dry-rotted strings. I am at a loss as to re-stringing it. I mean, what kind of string should I buy? Anything strong and durable is then too thick to re-thread through the holes. I even tried "Venetian blind"' string (too thick also). Should I use fishing line; and what strength should I buy? 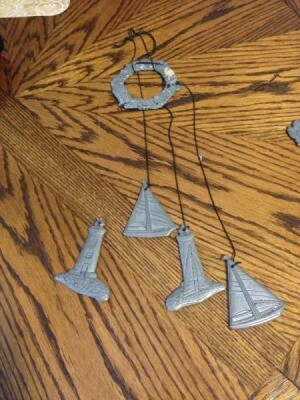 Also, what do I use for the part at the top where the strings go through, before attaching it to the main hanger? It has sentimental value to me, so tossing it in the dumpster would break my heart. Any help would be greatly appreciated. Thanks. I just re-strung mine. I used 80-lb. test, braided (not mono-filament) fishing line. Worked really well. I have also seen them done on monofilament fishing line; but I like the braided. Oh, and mine has fishing swivels and clasps; if you go in the fishing department, you can look around and see what they have. If you use monofilament, probably a 25 or 30 lb. test would work. I've always used fishing line. It's great because you can get it in all sorts of strengths. It's also inexpensive. If you want to be doubly sure it holds you can double or even triple or quadruple the lines you use for each chime, and it still looks very nice and professional. You could even string wooden beads or other decorations along the line for even more originality. As far as what weight to buy, weigh all the chimes and the center piece. Use that as a guide. If you can't find fishing line that heavy, then figure on using 2-3 strands per chime. My lighthouse wind chime thread broke and I don't like fishing line. What thread should I use? Go get either heavy duty fishing line or leader wire. Crimp the ends. It will lsdt for a lifetime. Walmart has a role of black waxed heavy string in the camping / fishing area. It comes on a spool about 5" long with more string than you can use. 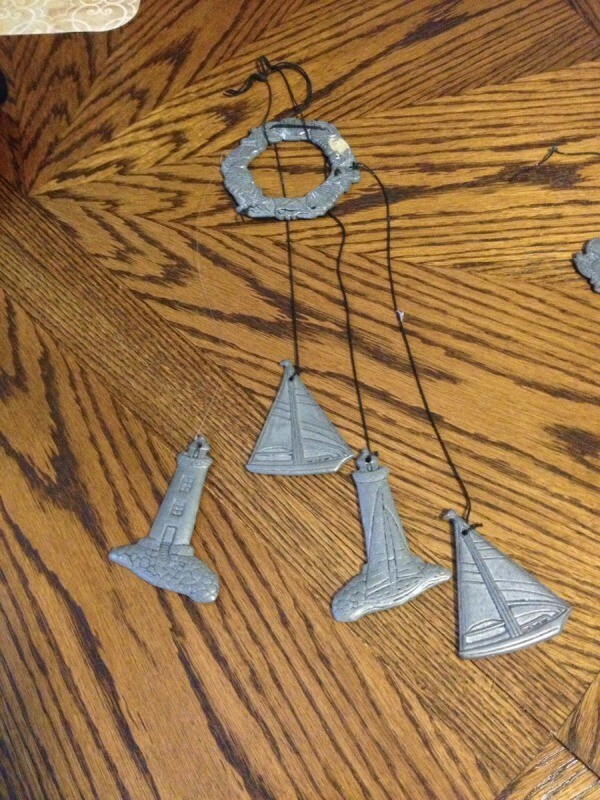 I took a piece from my wind chime and compared it. I also bought a white spool to go down through the center to hold the wood mallet to hit the pipes. You can buy a new 1+ 1/4" chrome ring for the top at Lowe's where they sell small chains. Clever! I wouldn't have thought of that and was ready to make a store run when my husband's old tackle bag had no fishing line in it. 18mm is .70 inch. Way too big. To look similar and hold up over the years the best thing to use is a dark green or black braided fishing line. Keep in mind 1 cm = 10mm. So 2cm or 20mm will work for most med. 12", 30mm for larger chimes. Smaller chimes would need smaller 10mm or test fitted. 20mm is roughly 90 lbs to 130 lbs strength. In Ohio Cabela was the only store with braided line so far. Top side tie knot then push small nail with head along side, keeps string from pulling thru. Use 25-50 lb monofiliment or your choice of braided line that fits the holes. Thread braided cord with small dia. wire. If the ferrals in the chime tubes are gone, have to replace or eventually it will cut thru, then u get to do it all again. I can't find instructions, specific instructions as to how to string the wind chimes, which holes first, etc. Most just say to put the string through the hole. Mine were all on one string when I purchased the wind chime and not 6 separate strings. Any help? Just go to windancerchimes.com and you will find assembly instructions as well as an assembly drawing. Open the Menu and scroll down to "Chime Care". You will find videos, downloads, and materials to order. Helpful and easy! What is the name of the string and where can I buy it? I am not sure but you could replace it all with fishing line or waxed dental floss. Good luck. 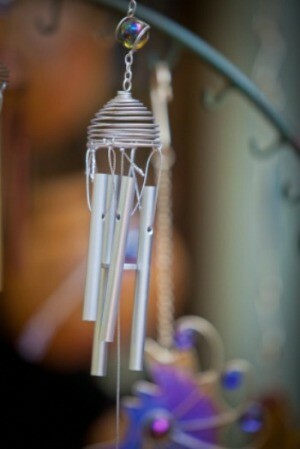 Where can I find a service or person that will repair my wind chimes in the Minnesota Twin Cities area? 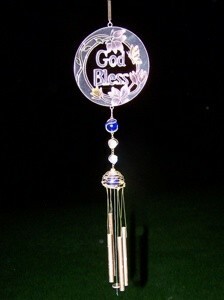 I have a wind chime that I love. 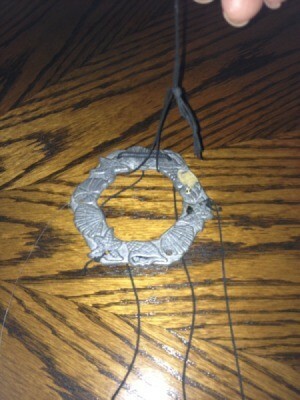 The strings holding it together and the wooden part that holds the strings fell apart from dry rot. I cut the strings to keep the metal chimes. How can I restring it and provide a holding for the string? I have no access to a saw. Thank you. You didn't state what type of wind chime you own, so here's a link to specify what you need and where to buy new string.